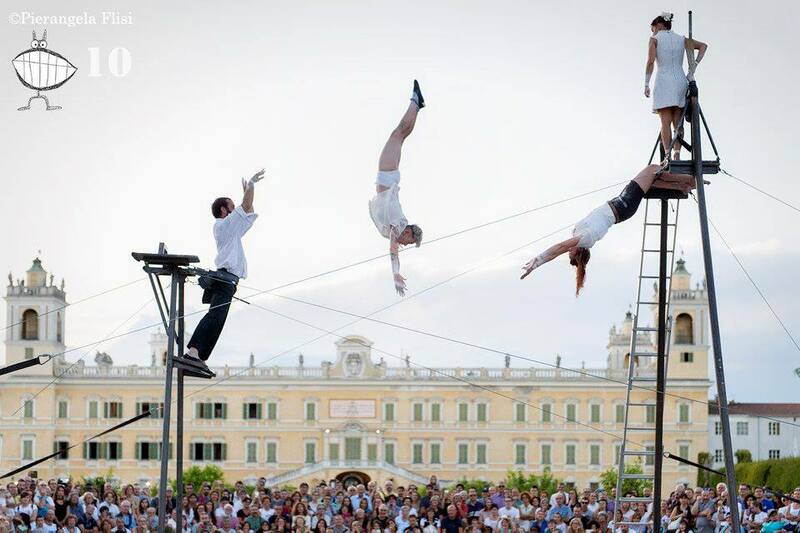 TMPC was founded in 2007 by Teatro Necessario as an international contemporary circus and street arts festival, dedicated to the dissemination of live arts, music, circus, theatre, dance, marionettes, performance and to the support of the international contemporary circus scene in Italy. Every year the village of Colorno becomes a wide open air stage for artists from all over the world, attracting a larger and larger audience. TMPC envisions street arts and open air performances as an opportunity to give back the public space to people, to build a healthy community and to develop an happier society.